Fawcett Publications produced some of the greatest Golden Age superheroes, so get a refresher course with the Fawcett Freedom Fighters! 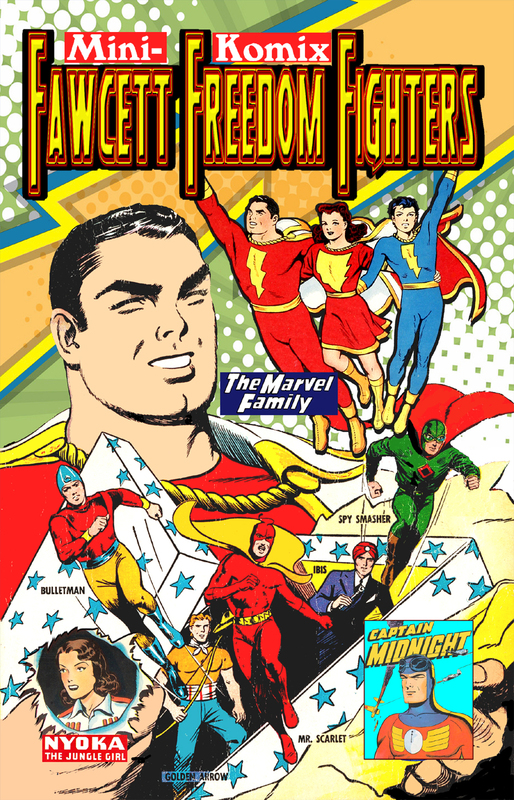 Starring the original Captain Marvel, Captain Marvel Jr., Mary Marvel, Spy Smasher, Ibis the Invincible, Mr. Scarlet, Pinky, Golden Arrow, Phantom Eagle, Nyoka the Jungle Girl, Captain Midnight, Bulletman, Bulletgirl, and Bulletgirl! Say "Shazam" and summon the Secret Squadron for 100 Big Pages! You can download this now at Drive Thru Comics, or as part of the Super Heroes Collection. 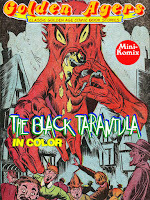 Golden Agers unravels the tangled web of The Black Tarantula! Count Rorret is a lord of the undead with the power to summon spirits and demons on a whim. He plots to transform the beautiful Princess Minnerville into his living dead bride while tricking her into thinking she'll be wed to her commoner suitor Leopold. What follows is a full-length feature of crafty creatures, creepy crawlers, and curious crafts! 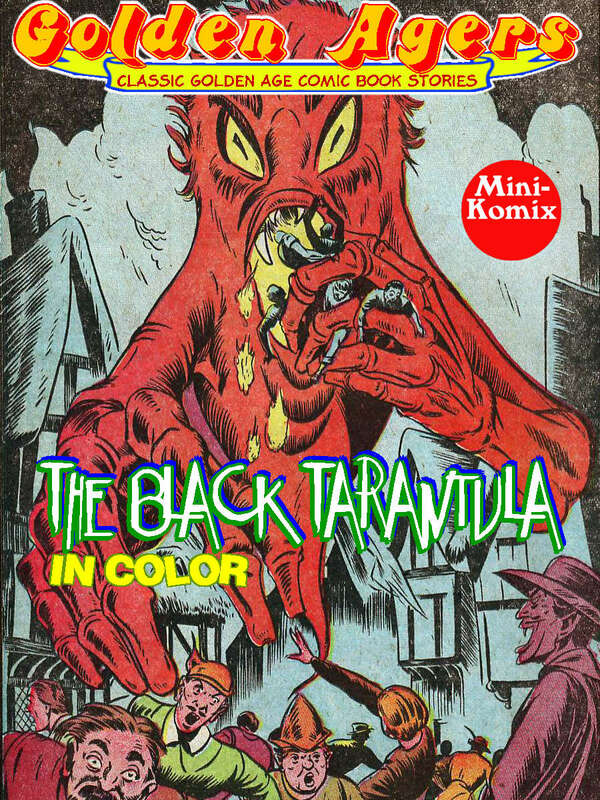 A gory horror story from the Golden Age of comics, and in color! You can download this now at Drive Thru Comics, or as part of the Golden Agers: Horror Collection. 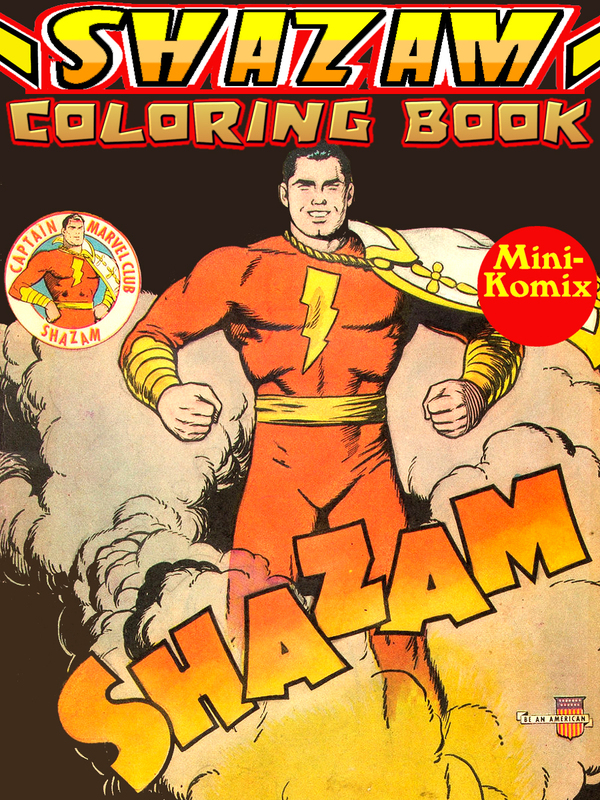 The ORIGINAL Captain Marvel in this Golden Age reprint of his official coloring book by Fawcett Publications in 1941! 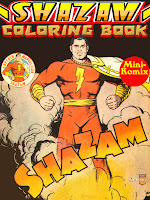 Billy Batson transforms into the World's Mightiest Mortal to save the Princess Beautia, stop the devious Dr. Sivana, mash monsters, get gangsters, and play pro football! This is now available for download at Drive Thru Comics, and as part of the Super Heroes Collection Bundle. Kooba Komix gets wild in Welcome To The Jungle! Fox Feature Syndicate jungle comics from the Golden Age! Starring Rulah: Jungle Goddess, Dorothy Lamour, Marga the Panther Woman, Jo-Jo, Safari Cary, Jungle Lil, and Zago: Jungle Prince! 100 Big Pages, and in color! This is now available in print at Lulu.